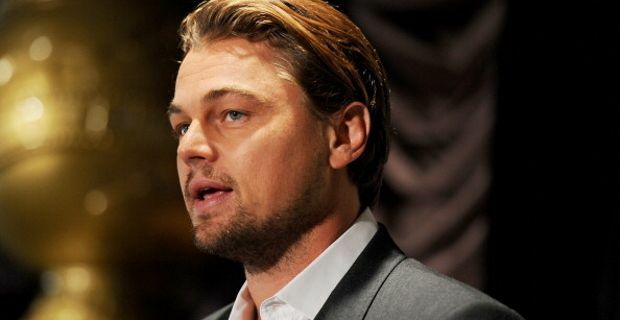 What's happened to Leonardo DiCaprio? The Hollywood star is notoriously someone who cares about the environment, however he managed to attract criticism from animal welfare supporters, amongst them PETA and Angelica Houston, for using a chimpazee in his latest movie, The Wolf Of Wall Street. The actor now faces mainstream coverage and reappraisal for being part of the shameful process that brings intelligent and sensitive animals such as great apes into becoming Hollywood props. The life of 'movie stars' animals is not a pretty one. Just as bad as in the circus, in fact. In the case of chimpanzees, the sad truth is that newborn baby chimpanzees are snatched from their loving and caring mothers in order to be 'trained', mostly using inhumane techniques, in order for them to be directed into 'acting'. The kidnapping of newborn chimps causes an enormous distress to mother and child, comparable to what human mother and child would undergo. We do share as species after all a surprising 98.8 percent of DNA. The emotional wounds simply never heals, and if you add to that the fact that the young chimps are also taken away from their life in the wild, closed in tiny cages, ill treated by their tenders, than you can imagine what sort of life we grant to these animals. Plus, they are 'discarded' as young as 7 years old, to make room for new babies to train. They almost inevitably end up in filthy, miserable sideroad circus shows. In the case of The Wolf Of Wall Street, DiCaprio latest movie, the young chimpanzee involved is called Chance and is owned by a member of the Rosaire family. Furthermore, while Chance should have been accompanied on the set by a primatologist, he was in fact handled by someone who had not experienced with primates. PETA sent DiCaprio a video, narrated by Anjelica Huston and detailing the sort of life lead by chimpanzees and other great apes used for entertainment, and the irreversible psychological harm this causes them. However, despite his reputation, DiCaprio didn't take the chimpanzee scene out of the movie and failed so far to respond to appeals and pleas from people and groups concerned about primate welfare.